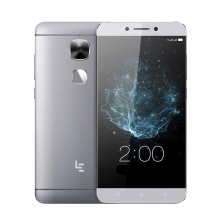 Letv LeEco Le 2 X520 features a 5.5" multi-point capacitive touch screen with 1920 * 1080 resolution, Dual cards standby, equipped with Qualcomm Snapdragon 652 Octa Core Android 6.0, dual cameras, 3GB RAM and 32GB ROM. Stylish Design–Full metal body with CNC technology, delivering a balance of sharp lines and rounded edges, making X520 solidly protected and comfortable griped. 5.5inch FHD IPS Display–From fast processing to a generous 5.5 inch FHD In-cell display to deliver an excellent visual experience with true to nature colors, presenting every detail with over 403 PPi, and effectively protect your eyes from over-saturation or eye strain. EUI 5.6 (Based on Android 6.0)–runs on an optimized Android 6.0 OS, stable and smooth. Stable & Powerful System–Best-in-class performance that combines the power of Qualcomm Snapdragon 652 processor, Adreno 510 GPU and X8 LTE connectivity with 3GB memory and 32GB on-board storage. Gallery-grade Photos–with 16MP main and 8MP selfie cameras, stunning 4K or slo-mo videos; an intelligent fingerprint scanner that doubles as a camera shutter; an amazing audio experience with award winning CDLA technology and Dolby Atmos. Le Mirror Intelligent Fingerprint ID–More secure and accurate. Ulock blade instantly with one touch in just 0.15s seconds. Full Network–X520 comes unlocked and compatible with most GSM carriers nationwide in the USA; Networks: FDD-LTE, TDD-LTE, WCDMA, GSM; LTE Bands: 1/3/7/38/39/40/41; 3G Bands/WCDMA: 1/2/5/8/34/39; 2G Bands: 2/3/5/8( NOT compatible with CDMA carriers such as Verizon, Sprint, Boost Mobile and Virgin Mobile); X520 is a dual Nano SIM smartphone. Installed Apps Google Play Store, Google Maps, Sound Recorder, Calculator, Clock, Browser, Calendar, etc.